When we talk about the courage and sacrifice associated with military service, we’re usually focused on the servicemembers themselves. Or maybe we think of military spouses who so bravely keep things together at home. But the often-unsung heroes of service are the military kids. The children of service men and women give up so much for the safety and security of America. They move around the country from base to base. They wait patiently at home through long deployments. They take on the caregiver role if a parent comes home injured. They accept the burden that accompanies a life of service and sometimes continue the legacy by joining the military themselves. In April, organizations and communities recognize that sacrifice, adaptability and strength by celebrating Month of the Military Child. Groups around the country have built programs and resources for military children and their parents. 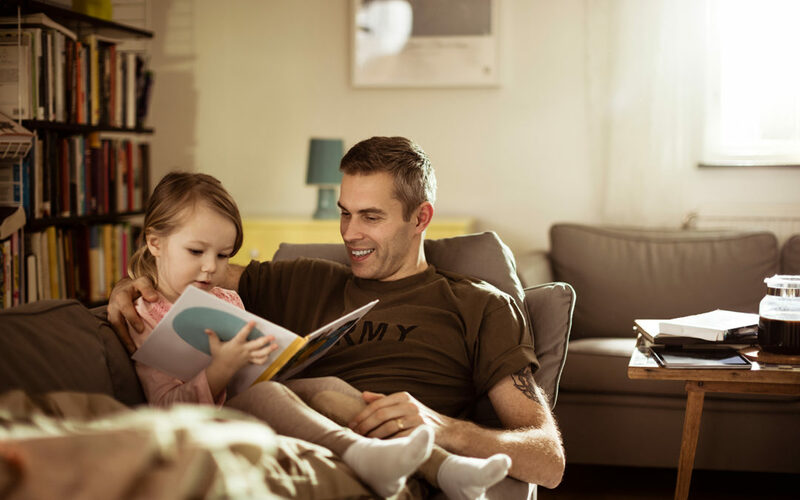 These programs help children learn, cope through tough deployments and connect with other military kids to know they’re not alone. The Department of Defense Education Activity created “Purple Up” days in April to celebrate children of the military. Throughout DOD and civilian schools, students and teachers wear purple, the color that represents every branch, to show their support for the children of service men and women. National Military Family Association has a range of Operation Purple Programs through which they contribute resources for military children. They offer family retreats and camps for just the kids, the whole family after a deployment or a family getting used to life with an injured parent. Blue Star Families brings military families together for fun, learning and bonding. Among other programs, Blue Star Families secures discounts for military families to visit museums, historic sites, parks and theatres and even to buy books. These experiences foster of love of learning and connect kids with parents. We owe our military children so much gratitude for their resilience and sacrifice. Share these resources to celebrate Month of the Military Child!